Welcome to the breathtaking Upper Peachtree community located in proximity to Nantahala Lake, North Carolina. This area is flush with both outdoor leisure activities as well as adrenaline-pumping outdoor activities. Looking for a calm and relaxing way to start your vacation? Head to one of the local stables, rent a horse, and take your horse out for a day of traversing local hiking trails. Imagine traveling through a variety of hiking trails while sitting atop your horse and soaking in all the beauty of the local wilderness. Sounds like the perfect way to detox from the hustle and bustle of your everyday life! If you are looking for a little more excitement than the hiking trails, we at SMBYO.com suggest you check out one of the five whitewater rafting companies offering guided tours in the area. Spend a day or two fighting through tough rapids while soaking in the unbridled nature views of the area. 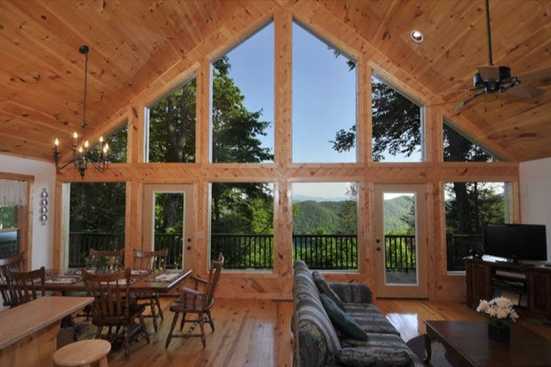 Smokymountainsbyowners.com is the best and most efficient way to find, plan, and book your vacation rental property in the community of Upper Peachtree in North Carolina. From days spent on horseback traversing the breathtaking local hiking trails to days spent on the water fighting through the rapids, guests of all ages are sure to have an unforgettable experience. SMBYO.com aims to take the hassle and stress out of planning and booking your vacation rental property, so all you must do is decide if you would rather hit the rapids or the hiking trail first. Book now, adventure and relaxation are just around the corner.